The famous water ceremony occurs on April 13th to 15th. These three national holiday days are the time for Thai people to spend time with their family, visit Buddhist temples or clean their house. Conversely, Backpackers take this ceremony as an excuse to party! It’s the water ceremony so get ready to get wet! Usually people are having fun with water guns and they paint their bodies with lots of colours. Everyone heads to Thong Sala and it is only celebrated here on the first day. At night, there are big parties organised on the beaches, especially on Haad Rin, the Full Moon beach. 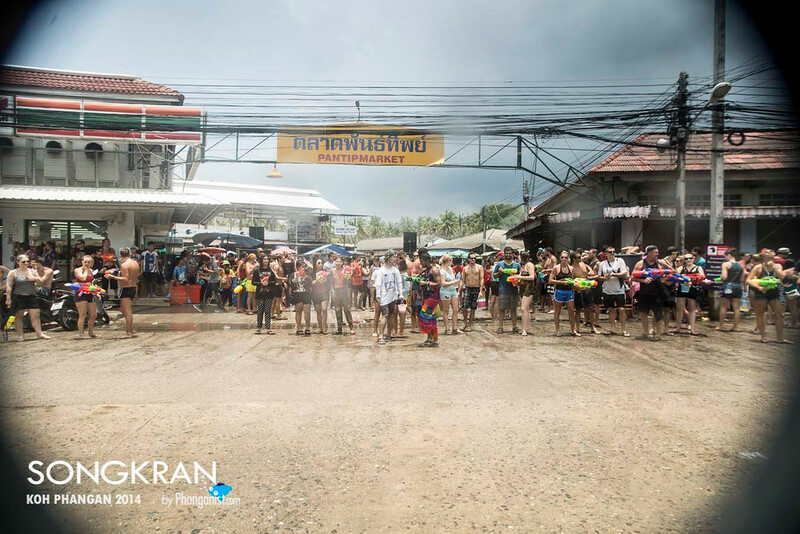 We recommend the Drop in Bar, the first bar on Haad Rin beach who always throw an awesome Songkran celebration. If you prefer to enjoy this weekend more calmly you can attend the Buddhist rituals in Wat Phu Khao Noi, the oldest temple on Koh Phangan. Have fun and keep smiling!